The B-52's will be celebrating a 40th anniversary with a world tour in 2019. The tour begins in June with European dates, followed by festival appearances throughout the Summer. The newly announced North American concert leg starts in early August, with OMD and Berlin joining the bill as opening bands on select dates. Technically, the band formed over 40 years ago in 1976, but they released their self-titled first LP in 1979 (featuring such hits as "Rock Lobster" and "Dance This Mess Around"). The core original members — Fred Schneider, Kate Pierson, Cindy Wilson, and Keith Strickland — are all still in the band which is a special thing these days. It is also critically important, considering the chemistry between them on stage that creates the B-52's unique and original sound. In related news, the is a new documentary film about the group in the works, produced by Fred Armisen. When do The B-52's 2019 tickets go on sale and what is the presale code? Tickets for their previously announced dates are now on sale. For the new shows, the general public on-sale starts as early as April 12 at 10 am local time. Presales for VIP packages and American Express cardmembers will begin on April 10. Fan club, Live Nation, LN Mobile App, and local venues / radio presales will follow. The artist presale code is PARTY. For the American Express presale, you can use the promo password INGOLD, but you will need the card to complete your purchase. The Live Nation / Ticketmaster presale password is VIBES and the LN Mobile App code is COVERT. Keep in mind, each date is different and details are subject to change. Click through the individual concert links for more information about the show you're interested in. We recommend following The B-52's on their social media accounts, in addition to signing up for your local venue's email newsletter, to get the most up-to-date information. 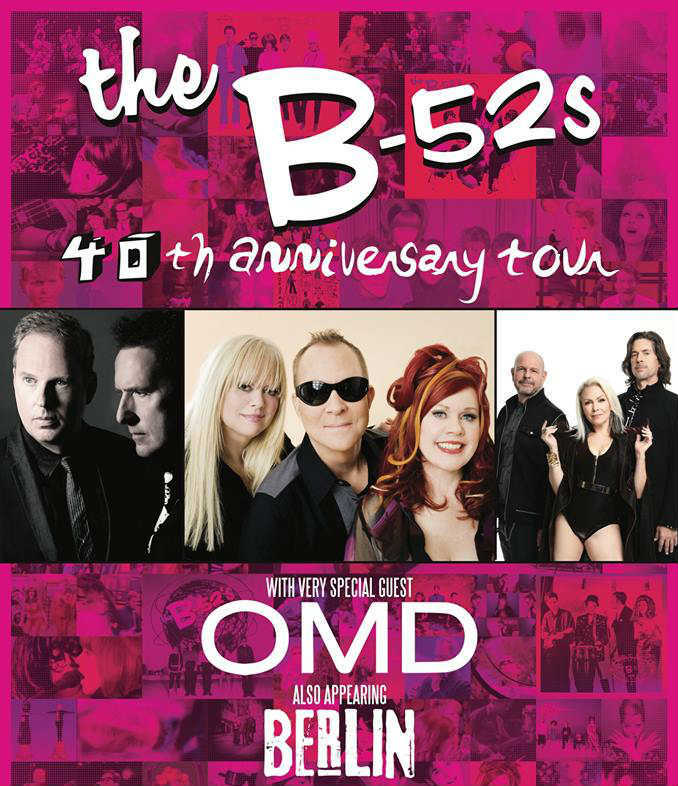 For concert tickets and more, check out The B-52's Zumic artist page.